Senior Ryan Matsuoka led the Banana Slugs with 19 points. The UCSC men's basketball team improved its overall record to seven wins and nine losses with a 72-63 victory over Pacific Union College last night. The Slugs traveled to Angwin, Calif., in the Napa Valley and defeated the Pioneers on their home court. The first half ended with PUC leading 35-30, but UCSC came back strong and found their offensive rhythm to finish the game. 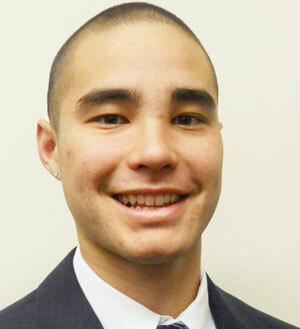 Senior Ryan Matsuoka from Cupertino, Calif., led the Banana Slugs with 19 points. Greg Palmer, also a senior, from Citrus Heights, Calif., added 12, and Senior Darrin Lew from Walnut, Calif., chipped in 11 and 4 assists. Junior Brent Jacobs from San Diego had a game-high 14 rebounds. The Banana Slugs were set to play a home double-header with the women's team on Tuesday, January 18, vs. Holy Names University, but the games have been rescheduled. The new date is not yet available. Please check the UCSC Athletics website at www.goslugs.com for updated information.